AB 813, the bill to create a new Western regional authority to control the energy market of eleven Western states died on the last day of the legislative season, August 31, when Senate Pro Temp Toni Atkins announced it would remain bottled up in the Senate Rules Committee. 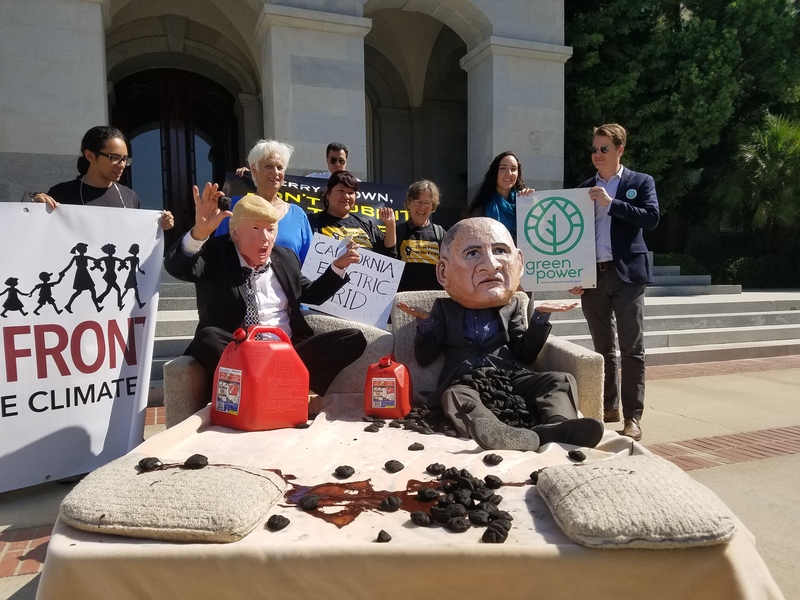 The bill, promoted by big transmission line and fossil fuel interests and supported by Governor Brown, was bitterly opposed by the Local Clean Energy Alliance and hundreds of grassroots and advocacy organizations who value local and state control of energy resources and policies. SB 237, a bill to expand Direct Access procurement in California passed, though in a weakened state. Direct Access allows big commercial electricity users to buy directly from energy producers on favorable terms, leaving everyone else with more expensive energy. Direct Access is a big threat to achieving California energy goals, and to Community Choice in particular. The bill passes the Direct Access issue on to a California Public Utilities Commission (CPUC) that is hostile to Community Choice. The Local Clean Energy Alliance will continue to fight any expansion of Direct Access. Many thanks to all those who worked so hard to stop these bills. The death of AB 813 is a particularly sweet victory as we had to overcome the impact of a powerful lobby, the Governor, and a few corporate environmental organizations working against the interests of grassroots constituents. Thankfully climate and energy activists prevailed against this institutional onslaught.